Oh my goodness, I remember babysitting in high school and college and I had to listen to I Carly! Ah! Haha! Way better than the cartoon shows though!! :) Have fun! Cute blog. Glad I found you through the linky party!! Kohl's and TPT gift card sound perfect! I'm interested in being featured! 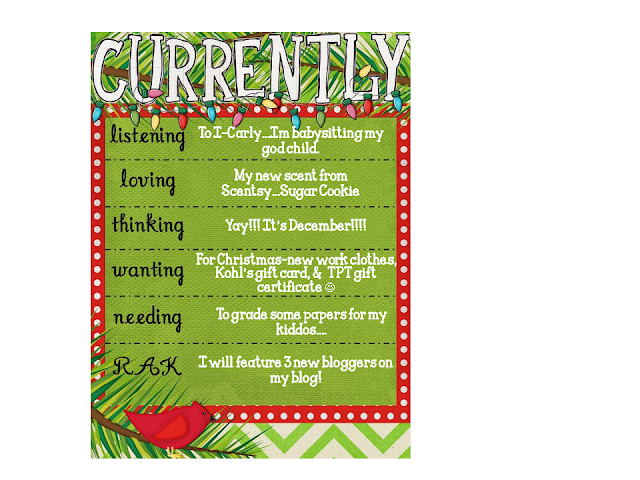 I would love to have gift certificates to TpT and Kohls as well! I'm a new blogger and would definitely interested in being featured on your blog! Hello TN Friend! I found you through Farley's linky! I am a new follower! Visiting your adorable blog from the linky! Love the featuring new bloggers idea! Hello fellow Tennessee blogger! I am so happy to have found you! I am your newest follower. Please check out my blog and follow me too!